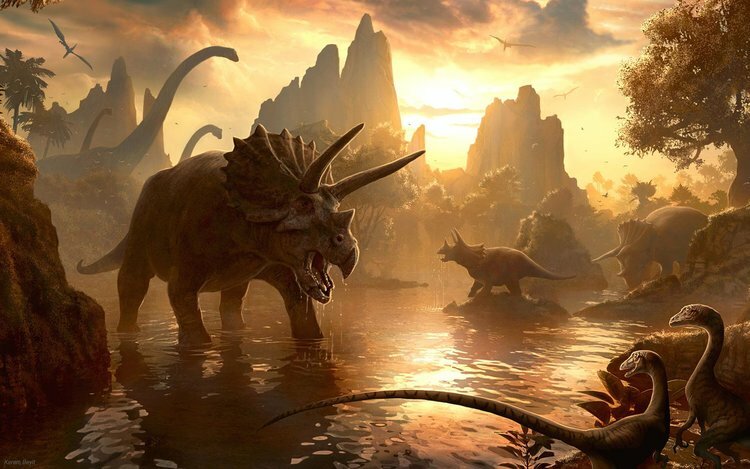 Following hot on the heels of the resurgence of popularity in all things prehistoric, undoubtedly in no small thanks to last years long awaited addition to the Jurassic Park saga of movies. 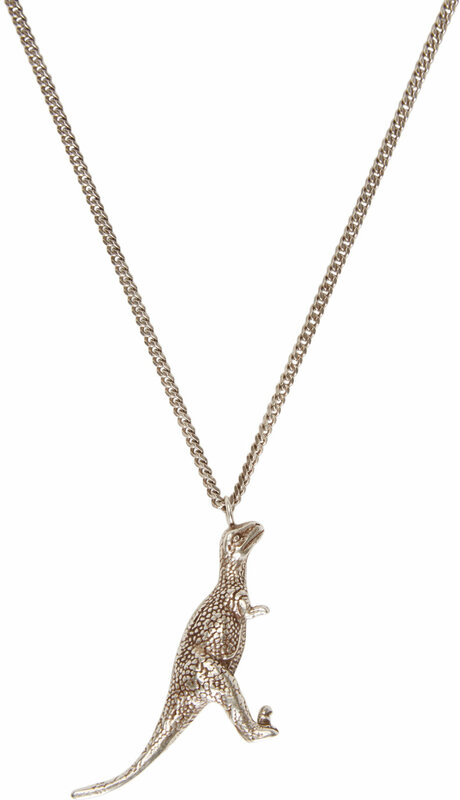 Saint Laurent has stepped into the ring and released a selection of Dinosaur inspired Jewellery pieces to kick start 2016 with a giant carnivorous roar. There is a choice of either a pin badge or pendent, along with two different species catered for. 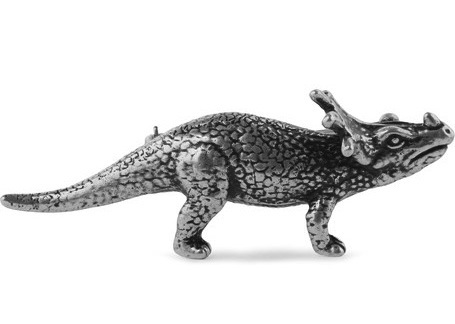 Adorn yourself with either everyone’s favourite herbivore and gentle giant, the horned triceratops. Or if you favour the killer elite, there is always the viscous claw footed hunter from the movies, the deadly velociraptor. Created in Italy using silver toned brass, for the very best craftsmanship, featuring expert detail considering the small size of the piece. These stunning pieces of jewellery will also come fashioned in a gift box. These accessory pieces accompany Saint Laurent’s clothing designs already causing a storm amongst fans of Jurassic creatures. 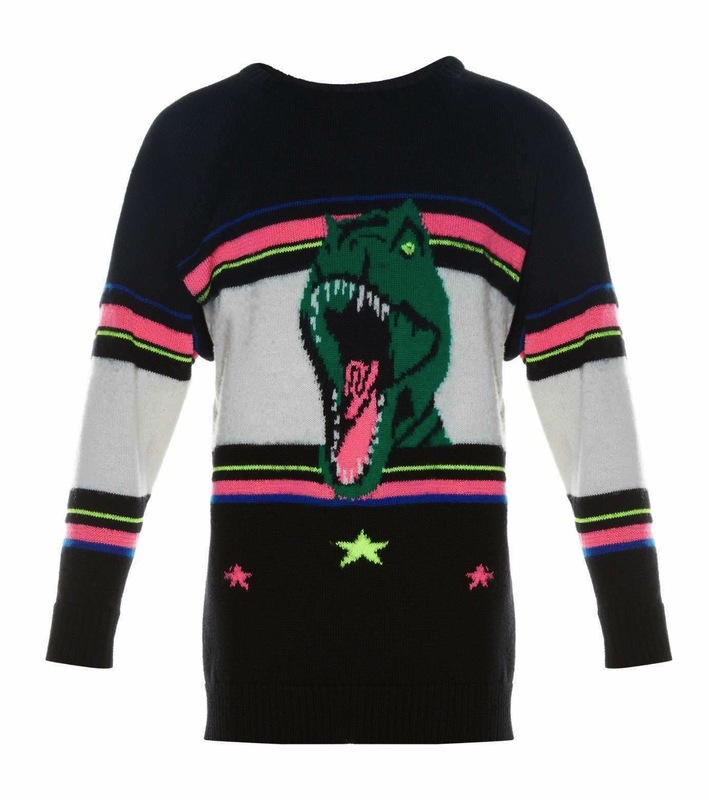 Sweaters and cardigans pairing bright colours and dinosaur designs give you a very unique look this season. 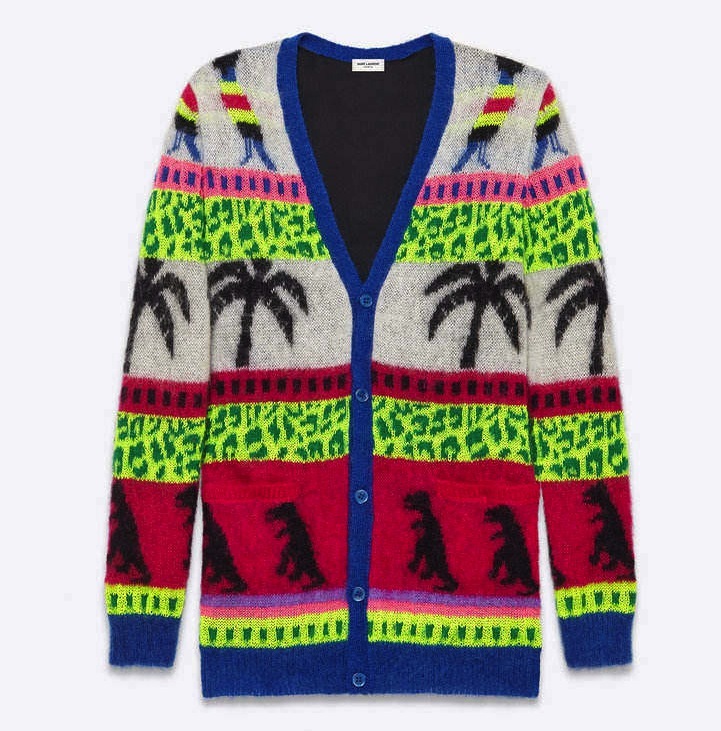 The jewel of their collection is a gorgeous multicolour Teddy Bomber jacket with the king of the dinosaurs, the infamous Tyrannosaurus Rex emblazoned upon the back. 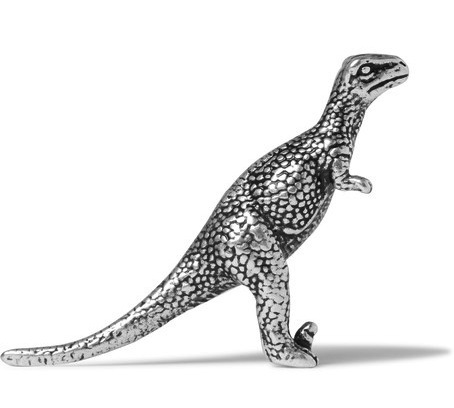 This collection will surely fly off the shelves, so be sure to snap up these exclusive Dinosaur pieces before they are gone and become extinct like their forebears. Let Fashion Runway Blog know your favourite!